Fitbit’s latest smartwatch is a new timepiece packed with fitness guidance, smart experiences, music storage, apps, payments & more. The leading global wearables brand, Fitbit, announced that the highly anticipated Fitbit Ionic is now available at major retailers in Singapore. At the same time, Fitbit also released Software Development Kit (SDK) which allows developers to create apps and clock faces for Fitbit devices. These apps and clock faces would be added to Fitbit App Gallery later this year. We defined the fitness tracker market 10 years ago and look forward to doing the same with the smartwatch category, delivering what consumers want most and have not yet seen in a smartwatch. Ionic offers up to five days’ battery life for 24/7 health tracking and insights, advanced health and fitness features, enhanced heart rate and dynamic sleep tools paired with the smart functionality consumers need on the go to stay in touch and simplify their life. These features, coupled with Ionic’s broad compatibility across Android, iOS and Windows platforms, mean consumers around the globe never need to choose between their watch and their phone. The ultimate smartwatch features built-in GPS to track your outdoor workouts and display your real-time pace, distance and heart rate. You can either use Exercise mode for real-time stats on screen, or automatically track your workouts with SmartTrack feature. 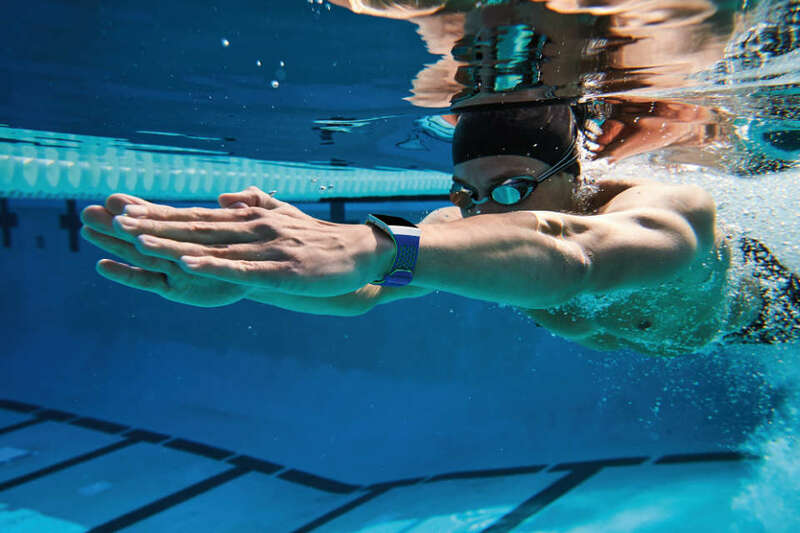 Wear Fitbit Ionic in the pool to track laps, duration and calories burned during swim workouts. Fitbit Ionic tracks your heart rate continuously and allows you to view it in real-time. Wear it when you sleep, and you’ll get personalised insights about your sleep, including how long your light sleep, REM and deep sleep durations are. 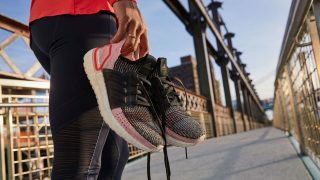 Fitbit Ionic gives you 2.5GB music storage that you can use to store 300+ songs and play them on your outdoor runs, so there’s no need to bring a phone for a run anymore. With Dynamic Personal Coaching, you can get on-screen workouts guidance through every move. Leave your wallet at home too, because you can effortlessly pay for purchases right from your device, wherever contactless payments are accepted. Fitbit Ionic users in Singapore would be able to add Mastercard and Visa credit and debit cards from UOB and OCBC banks for cashless payments in the coming weeks. All these features are powered by to five days’ battery life, or up to 10 hours when using GPS, and cross-platform smartphone compatibility. A variety of popular apps and clock faces will be available via Fitbit App Gallery later this year. At the moment, partner apps from Strava and AccuWeather are already available on Ionic. 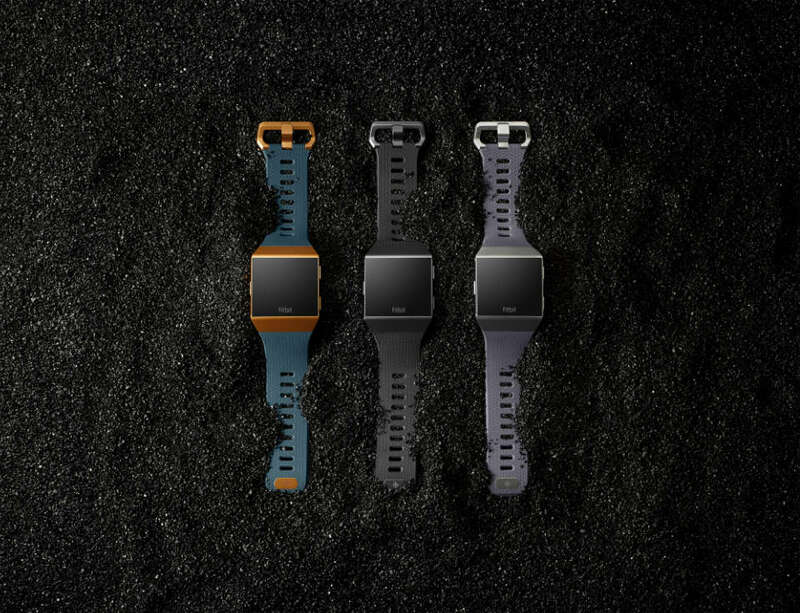 Fitbit Ionic is available in three colour combinations: silver grey tracker and clasp with blue grey band, smoke grey tracker and clasp with charcoal band, or burnt orange tracker and clasp with slate blue band. Still photography of Ionic in core colors: burnt orange case with slate blue, smoke gray case with charcoal band, and silver case with blue gray band. 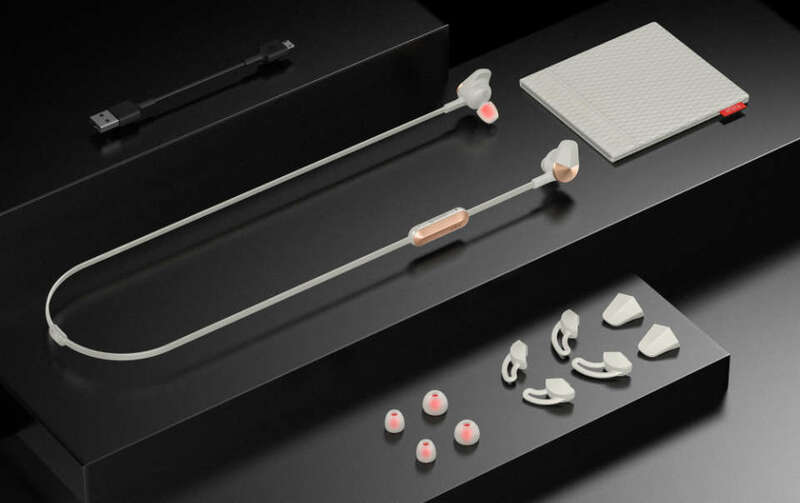 Fitbit Flyer is Fitbit’s first wireless headphones. It features a durable, sweatproof design and customizable fit with an advanced sound performance that is perfect for all occasions, whether you’re listening to music seamlessly from Ionic, Audio Coaching from the Fitbit Coach smartphone app, or staying in touch on the go. Fitbit Flyer is available in two colours, lunar grey or nightfall blue, for S$198.00. Fitbit also announced the improved Fitbit Aria 2 Wi-Fi Smart Scale. The new scale is re-engineered for greater accuracy, easier setup and an improved interface. 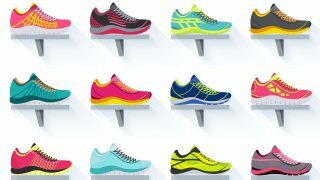 It is available for presale on Fitbit.com for S$198.00, and will be available on Fitbit.com and at retailers worldwide later in 2017. The new Fitbit Coach personal training app, featuring more than 90 video and audio workouts, is available on Android, iOS, and Windows devices with introductory pricing of USD$7.99 per month or USD$39.99 per year. 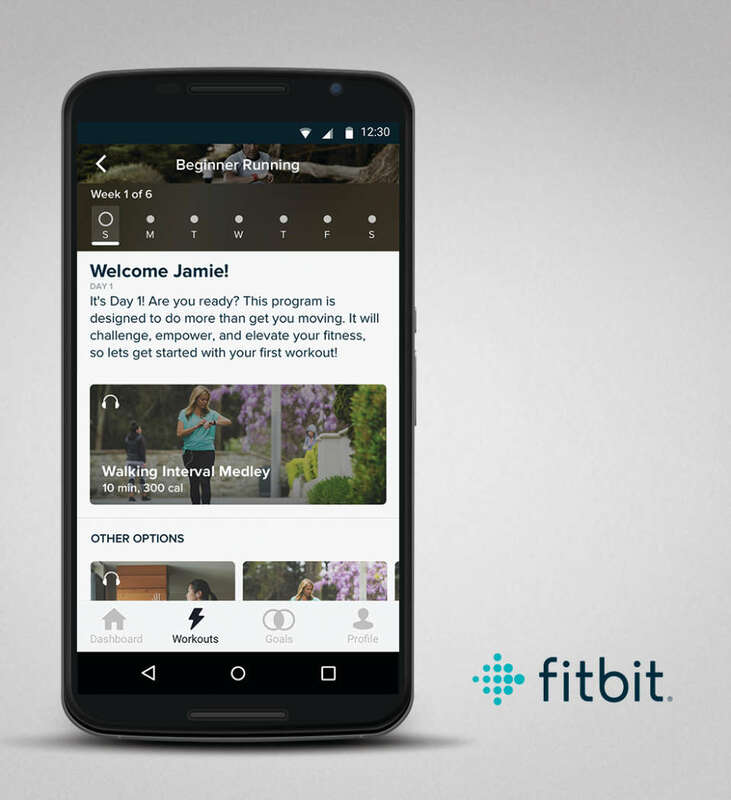 The first Guided Health Programs will be available in 2018 in the “Coach” section of the Fitbit app. Fitbit Ionic and Fitbit Flyer are currently available for sale at retailers, including AXTRO Sports, Best Denki, Challenger, Courts, Harvey Norman, Lazada.sg, Sprint-Cass. Fitbit Ionic retails for S$458.00. Classic and Sport accessory bands are available for S$49.90, and hand-crafted and perforated Horween leather bands are available for S$99.90.